Remember that can't-sleep anticipation of something really good coming? 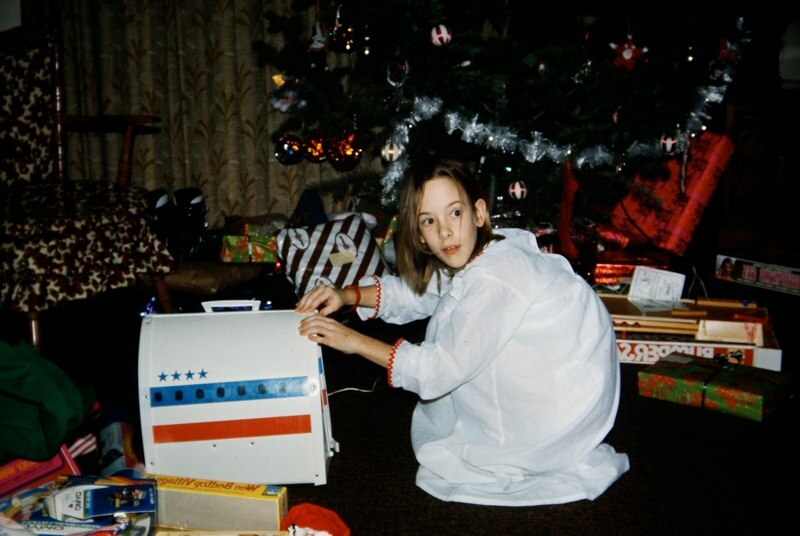 A childhood Christmas morning? Or the night before the first day of seventh grade? Or the entire day before the State track meet - such a big event that it was held at Ricks College? 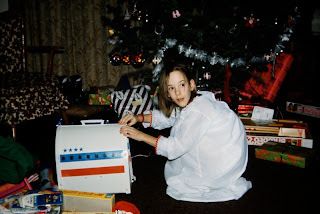 Christmas morning, 1973, Fairchild AFB, Spokane, WA. Santa must have enjoyed the cookies because he left the Barbie Airplane made by Mattel United Airlines for yours truly. What more could an 8-year old girl want?! Seventh grade began at Bountiful Junior H.S. with the only class I really wanted to take: Art. In a real art-classroom completely dedicated to making and learning art. I was in heaven. It almost made up for the completely lame excuse of a home-economics class later that same day in which I was instructed how to make a grilled cheese sandwich and a "milk-shake" made without a single scoop of ice-cream - a clear abomination in the household where I grew up. My father signed my class-withdrawal slip himself, and I believe I got to take shop instead. Total win-win. And that track meet in Rexburg, ID. Spring 1981. I ran my best time in the qualifying heat of the 440-yard (no such thing as the 400m in the U.S. schools back in those days). My cousin Christine came over to the race and we got something to eat afterward, but I can't quite recall anything more - except for the feeling of pure elation that stuck with me for a long time. What put wings on my feet that day? Could have been the sunshine that broke through the rain clouds on that cold spring afternoon, or the way the air moved over the track. Or maybe just plain luck. I would never run a better race again. Now smack in the middle of the holidays, it's one week from the start of my first residency in the MFA program at Pacific University, and I am all kinds of excited. Christmas-Barbie-airplane-7th-grade-state-track-meet excited. 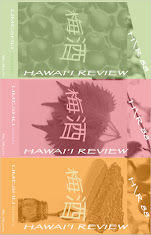 Of course, it takes a leap of sorts. The push-off the block at the starting shot. The release of a held breath. A step through an arch to a new freedom. Feels like a good thing. It's foggy in Longview most mornings this time of year. 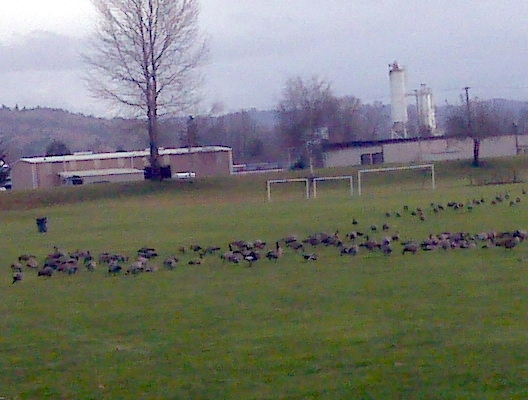 I turn north with the wind to my back, and a bunch of geese are hanging in the air over the local soccer fields. 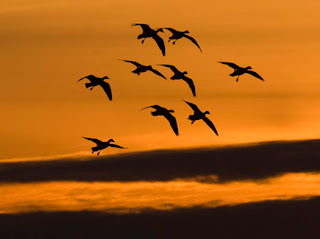 They are landing, feet down, necks arched forward, wings bent and still. Kites loosed of their strings, gliding into the wind. 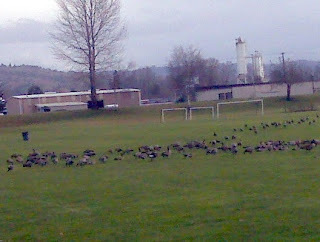 Geese mate for life and will stay together during all seasons. Swans, too. I knew that when I was a kid from reading about Louis and Serena, the eventual mated couple in E.B. White's "Trumpet of the Swan." In the end, content and drifting in a state of almost-sleep, Louis thinks "how lucky he was to inhabit such a beautiful earth, how lucky he had been to solve his problems with music." Humans would be so lucky to know their life-long mate from the clear trill of a trumpet. My own mate is away tonight, working. But he left me cozy at home with a full winter supply of stove pellets and new windshield wipers for an uneventful drive to and from Longview. Let the rains come. Let it be cold. And I shall be happy for my best friend to return.